What’s available right now at Amazing Flower Farm in New Ipswich, NH! Learn more about our farm item availability. 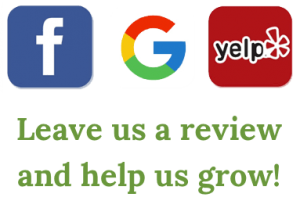 We accept PayPal online, or credit card, cash, or check at the farm. 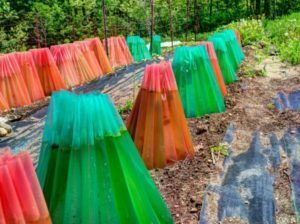 Wall-O-Waters are an early season veggie transplant protector that adds tens of degrees of frost protection to the environment surrounding tender vegetable transplants, such as tomatoes and peppers. It can be freezing and snowing and tomato transplants are still protected. We use them, but we have way more than we need, so we are offering some of them to you. Set it up several sunny days before you plant to warm the soil. Gently fill each of the cells with a column of water. (If you use the hose full blast, you might blow out the seam between neighboring cells). We like to fill cells on opposite sides of the bucket first so it fills with an even balance. Then pull out the pail. Whether the Wall-O-Water looks like a closed tee-pee or is more open depends on how much water you add. We like it to be a little bit open for ventilation on hot days, although the water columns buffer the heat somewhat. If it is going to be really cold at night we go out and squeeze some water out of the top so it makes a more closed tee-pee. Plant one transplant inside the Wall-O-Water to get a head start on the season! If you don’t see anything hit the Next button. You can also change the “Show _ entries” dropdown. If it says “No data available in table” then we have not yet entered any items. Contact us or call (603) 878-9876 if you are interested.